The Lion King, released in 1994, is an animated musical adventure produced by Walt Disney. Inspired by the biblical tales of Moses and Joseph as well as Shakespeare’s play Hamlet, the Lion King is a tale about lions on the African plains. Simba, a young cub, is to take his father’s place as king. All that changes when Scar, his evil uncle, orchestrates the death of Mufasa and convinces Simba that he is an outcast and everything is his fault. After living with the Meercat Timon and warthog Pumba, Simba returns after meeting his childhood friend Nala and returns to Pride Rock and take his rightful place as king. The Lion King was released in 1994 by Disney during a time known as the Disney Renaissance. Simba is young cub and is supposed to take over as king after his father, Mufasa. But Mufasa’s brother, Scar, has other plans and orchestrates the death of Mufasa. When Simba isn’t killed according to plan, Scar convinces him that the death of his father was his fault and that he can never return home. Simba meets friends Timon and Pumba, before ultimately going back to the Pridelands to defeat his evil uncle and take his place as the rightful king. The Lion King was first conceived in 1988 with production beginning in 1991. Extensive research for the film was done, including traveling to Hell’s Gate National Park to research both the animals and setting for a realistic film. 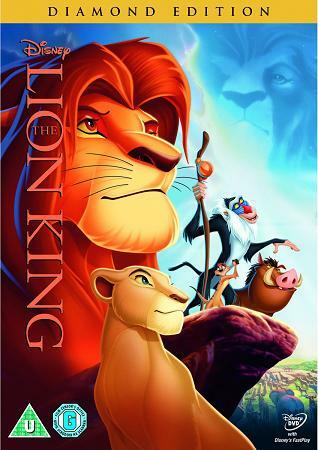 The Lion King was first seen in theaters on June 15, 1994. The film received praise from critics for both its music and story. Earning over $954 million worldwide, The Lion King is the highest grossing hand drawn film in world history. The Lion King won two Academy Awards for its music as well as a Golden Globe for Best Motion Picture – Musical or Comedy. In 1997 The Lion King was adabed for Broadway and has since won six Tony Awards including that of Best Musical. Two direct to video sequels were made, The Lion King II: Simba’s Pride in 1998 and the parallel tale Lion King 1 ½ in 2004.